It's the final week of 2014, so we got some of our MCN Award winning bikes of 2014 together for one last blast. 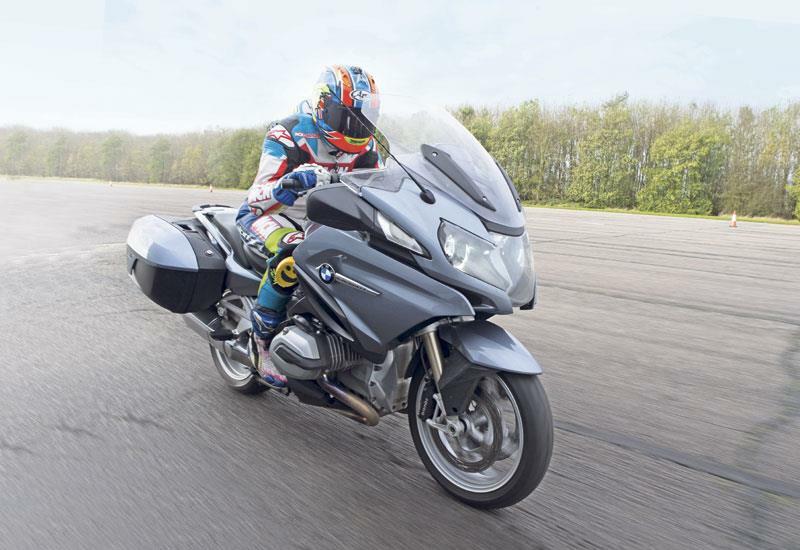 Here's our best tourer, BMW'S R1200RT. The old RT was already formidable, beating off its bigger six-cylinder K1600 LT brother and the latest Triumph Trophy in group tests. But the new RT has taken tourers to another level Its new liquid-cooled motor is so smooth you’d swear it’s an inline four and it’s packed with grunt and enough punch to knock even more spots off the competition. The crispness of its steering, agility and poise in the corners belies its size, but the sophistication of its electronics are what really stands out. It’s packed with toys galore, as you’d expect, most of which you’ll have to pay extra for, of course. .Cocooned in dreamy RT opulence, motorway miles drift by effortlessly, but when the going gets twisty the BMW throws off its chauffeur’s hat and gets racy. It’s a worthy award winner. One of the coolest things we learn about bikes, right at the beginning of our two-wheeled journey, is how fast even the most modest of motorcycles are. Even a 125 will out-accelerate a supercar to 60mph, and it doesn’t take us long to get addicted to speed. So the most common question we ask of any new bike, especially sportsbikes, is: ‘How fast does it go, mister?’ Bruntingthorpe Proving Ground, near Leicester, is where we do all our performance testing. It’s a two-mile-long runway, which is enough to get most production bikes flat-out. Here we test top speeds, acceleration, and braking distances, and the route back to the start of the runway has a few twists, turns and chicanes in it, which combined makes up a fast handling course. The wide open confines of the former airfield also lets us take the kind of pictures we wouldn’t be able to get on the road or a live racetrack, like stunt shots and tracking, where we ride a bike up to the bumper of a car while a photographer hangs out the back. MCN Award winners: Which would you choose? MCN Exclusive: Michael Dunlop to race BMWs on the roads!